The law goes on to state that the judge has authority to order payment of post-high school educational expenses, including tuition and fees (as long as they do not exceed the cost of in-state tuition and fees at the University of Illinois at Urbana-Champaign for the same academic year), housing expenses, the child’s medical expenses, including insurance and dental expenses, “reasonable living expenses,” and books and necessary other supplies. For the 2017-2018 school year, the overall cost to attend the University of Illinois at Urbana-Champaign for a full-time on-campus undergraduate student was approximately $30,700, and over $35,000 for programs such as Engineering, Business, and Chem/Life Sciences. Clearly, this statutory cap on parents’ obligations to pay for college is still extremely high, and completely unaffordable for many people. However, our society has clearly changed over the last 40 years. The judge in the recent DuPage County case pointed out that even Supreme Court Justice Sandra Day O’Connor noted back in 2000 that “The composition of families varies greatly from household to household. While many children may have two married parents and grandparents who visit regularly, many other children are raised in single-parent households.” Troxel v. Granville, 537 U.S. 57 (2000). The factual background for this recent case is as follows. Two never-married parents had a daughter together. The child turned 18 and finished high school. The mother then filed a petition requesting that the father contribute to the daughter’s college expenses. The father had offered to pay 100% of his daughter’s college expenses if she would transfer to Scripps Institute of Oceanography in San Diego, or the University of Hawaii. Both of those schools have marine biology degree programs and “excellent reputations.” However, both the mother and daughter refused his offer. The issue went to a hearing before the court, and each of the parents were ordered to contribute 40% to Daughter’s college expenses. The court ruled that the daughter would be responsible for the remaining 20% through employment, obtaining grants and scholarships, and work-study. However, the daughter never applied for financial aid or worked a job. Instead, her mother paid 60% of the cost. The father then filed a motion to terminate his obligation to contribute to college because the daughter had failed to comply with the court’s orders. This motion was denied. Next, the father filed a motion requesting that the court find Section 513 of the Illinois Marriage and Dissolution of Marriage Act unconstitutional. The Attorney General of the State of Illinois declined to intervene. In the pending case, it’s worth noting that the father did not argue against being required to pay for his daughter’s college. Instead, he argued that he was not given any input about her decision where to attend and what he would have to pay. He argued that married parents have parental decision making about college contribution, but for someone like him, who is not married, he doesn’t, which is a violation of equal protection. Ultimately, the trial court ruled that “section 513 does not permit divorced or never married parents the same input and ability to educate their children as is afforded to married…parents… [and] there is no rational basis for this difference.” In its ruling, the court emphasized just how much the “typical” family in our country has changed, pointing out that married two-parent families now make up less than 50%. In fact, in 2014, unmarried women account for about 40% of the U.S. birthrate; in 2011 the divorce statistic was 46%; and just 46% of children live in two-parent homes. So, the Illinois Supreme Court’s ruling in the Kujawinski case in 1978 assumed a very different “typical” family than what the actual average family in the U.S. looks like today. This ruling is presently being appealed. 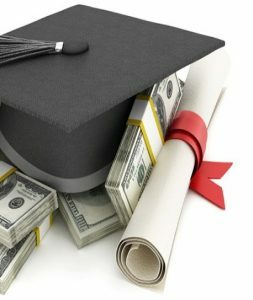 Depending on what happens on appeal, this recent ruling may have a big impact on cases involving a dispute over contribution to college expenses moving forward. If you want to discuss your options with an experienced and knowledgeable attorney, please contact us today for a free consultation.